THE LAID-BACK COUNTERPART TO HIS MOTORMOUTHED OLDER BROTHER (BEFORE CHRIS ENTERED HIS CURRENT GRATEFUL DEAD STONER PHASE), RICH ROBINSON has set a course for himself that does not concern itself with radio singles or industry nonsense. As musically wonderful an entity as The Black Crowes was, it was a big machine that chugged along for most of its existence as part of the major label universe, where the quality of the band’s output was judged by the sales of the last piece of music to be released. The rootsy rock that the Crowes mastered on their albums and the transcendent jams fans were treated to at their shows never quite fit philosophically with the assembly line sentiment of that other world. 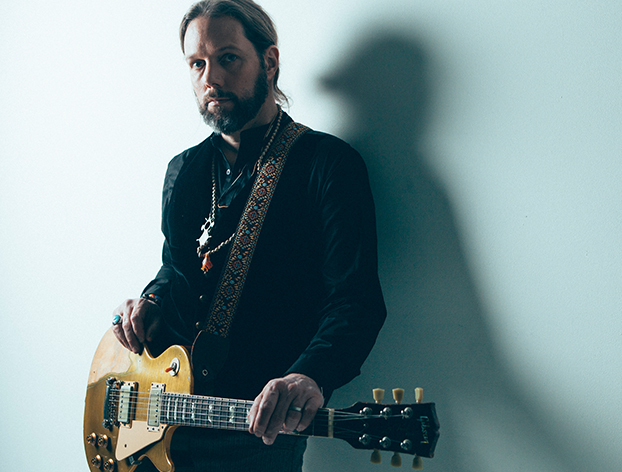 Rich Robinson now has the luxury of producing music at his own pace and with his own vision. But listening to Rich’s solo work, one cannot help but take note of how important his contributions to The Black Crowes obviously were. That guitar tone. Those grooves. The warmth of the tunes. All of the touchstones are present and accounted for, which bodes well for more of the type of music fans of this melodic guitarist have come to love so dearly. Speaking to Rich, one gets the feeling that there is a lot more to come. 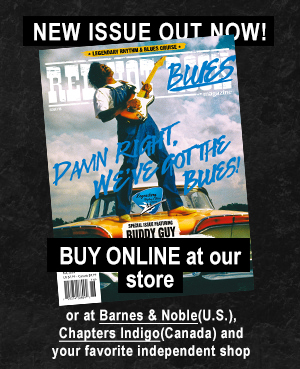 RED HOT ROCK MAGAZINE: Hey, Rich. How are you doing? RICH ROBINSON: Pretty good. How are you? RHRM: Good, thank you. We have loads of stuff to cover, what with the tasty stuff on your Flux album and your solo work being reissued on Eagle, as well as your stint as Bad Company’s guitarist. If it’s alright with you, I would like to begin with a few Bad Company questions. RHRM: I believe you first met Paul Rodgers at a tribute show in honor of the great Jimmy Page. You jumped up and played some tunes with Paul that he had recorded with Jimmy while they were in The Firm. I understand that this was fairly spontaneous. Did you already know these songs? Did you know them well enough to be able to play them? RR: No. No. I didn’t know them. I never really… I heard the hit, “Radioactive”, but I’d never listened to the song. And so, when I met Paul, his manager said, “Hey, would you mind getting up and playing with Paul?” And I was, like, “That would be great. I just have to learn the songs.” Ha ha. So, the guys that were in the, sort of, house band knew these songs and they were like, “Just come on up. We’ll go over them.” And we went over them a couple of times and it was great. It was really cool and Paul was such a sweet dude. His voice is still just unbelievable, you know. Some people say it’s better than ever. I mean, it’s amazing how well he’s singing. It’s just amazing. And so, it was cool and fun. We met and said, “See ya.” And that was it. Then, sometime earlier this year, I guess Mick Ralphs wasn’t able to do this leg of the tour. And they asked me to do it. I was, like, “Yeah. That would be fun, man.” I’ve always wanted to play with Paul and Simon (Kirke). I loved Free, growing up. It was one of my favorite bands. And so, yeah, it was really cool to be able to do that. RHRM: So, for the Firm tunes, you didn’t have much rehearsal time. And then when Mick Ralphs dropped off of the Bad Company tour at the last minute and you got that call asking you to step in, you didn’t have a lot of time to rehearse for that, either. RR: No. I mean, I had about a month to learn the songs in advance, which I did. And we had half a day rehearsal for the first show, which was actually a TV show. But it’s cool. It worked out. Everyone in the band and crew were great. It was definitely like a big family and they all really love and respect each other. There was no drama on the tour. It was really weird being on a tour without drama. Ha ha ha. Dude, it was cool. RHRM: I can take a wild guess about what you are hinting at. Ha ha ha! RR: Yeah. It was just great. Everyone was so cool and it was just great. RHRM: I know that the history of The Black Crowes has been kind of a rollercoaster ride over the years. RHRM: And like you mentioned, Paul Rodgers is simply one of the sweetest human beings. I have interviewed hundreds upon hundreds of people over the years and he is just one of the kindest. I’ve been following his career for many years and I would agree that his voice sounds better now than it did forty or forty-five years ago. RHRM: You mentioned Free earlier. Fantastic band which both Paul and Simon were a part of. You were a huge fan from an early age, weren’t you? I understand that that band was a big influence on you as a young musician. RR: I grew up listening to Free. And Bad Company, I heard on the radio growing up. You couldn’t turn on the radio in the 70s and 80s without hearing Bad Company. You know what I mean, it was pretty amazing. 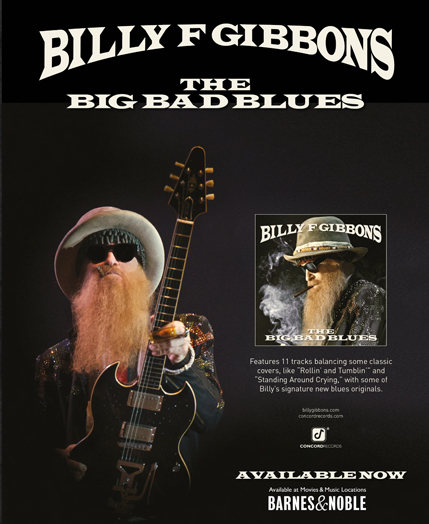 But, early on as a guitar player and as a songwriter, I just was so drawn to those Free songs. They were a really unique band. RHRM: It’s kind of interesting that Bad Company is a much bigger band in America, while Free has always been huge overseas. RR: Yeah. It was a big band. And it was always… To me, in my wheelhouse, that’s what I was far more familiar with. I mean, the Bad Company stuff, they were a huge hit. And it’s a very American-oriented bunch of riffs. I mean, they made a very American-sounding record. Or very American-sounding records. Bad Company in the States was huge. And so, I heard all of these songs. But just from growing up listening to Free and listening to the… I mean, the efficiency of that band. No one overplayed. It was amazing. There seemed to be a… There was a discipline. I mean, most bands get in there and they want to show off and they want to solo and do all of these things. Everyone’s overplaying. It’s pretty normal. But with those guys, man, I mean everything was right there. And the rhythm section, Andy Fraser and Simon, were perfect. I mean, it’s just perfection. So much space. So much space on that stage. RHRM: And even more incredible was how young they were. RR: They were teenagers. It’s crazy. RHRM: You and Howard Leese have been sharing leads in Bad Company. How did the two of you decide who would play what? Did you simply step in and take over the parts that Mick had been playing live? RR: No. I mean, Howard plays with Bad Company and he plays with Paul. And so, he had a pretty specific routine with Paul. And so, when they asked me to play, I just said, “Tell me what you want me to play on.” And Howard just said, “Well, you can do these things.” And that’s really what it was. RHRM: At the show that I saw, I believe it was during the tune “Movin’ On” that you played some tasty slide. And I don’t think that’s on the original version of the song. That’s something you threw in there, isn’t it?